Title: "Mardi-Gras Cancelled Account WAR With Japan. Mardi Gras Cachet by Emil A. Thurman." Postmarked February 17, 1942. 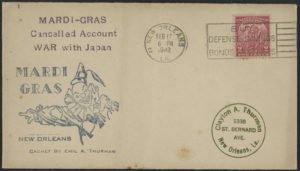 “Mardi-Gras Cancelled Account WAR With Japan. 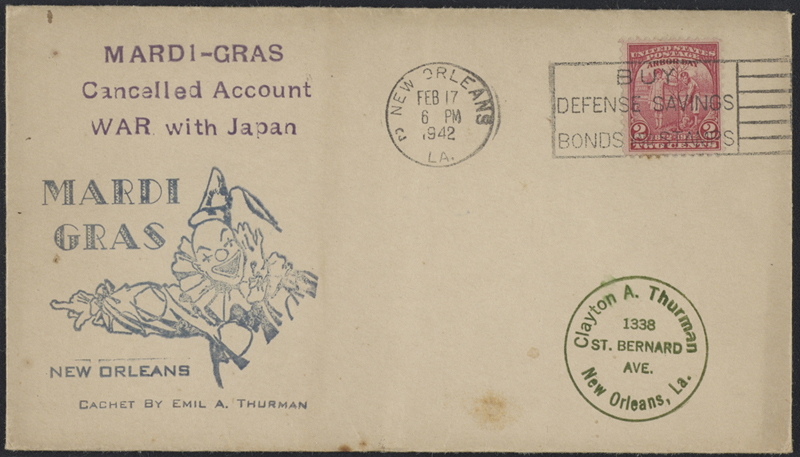 Mardi Gras Cachet by Emil A. Thurman.” Postmarked February 17, 1942.